There's a brand new PureGym coming to Fulham Broadway very soon! Once we open, members will enjoy unlimited access to best in class cardio equipment, great functional areas, a large free weights zone and a huge range of classes. Not only are our memberships contract-free, if you join today you'll pay just £19.99 a month for six months instead of the standard rate of £34.99 a month! We're transforming the former M&S food store near the crossing outside HSBC on Fulham Road into a state-of-the-art PureGym. Getting to us couldn't be easier as we're a short four-minute walk away from Fulham Broadway tube station. 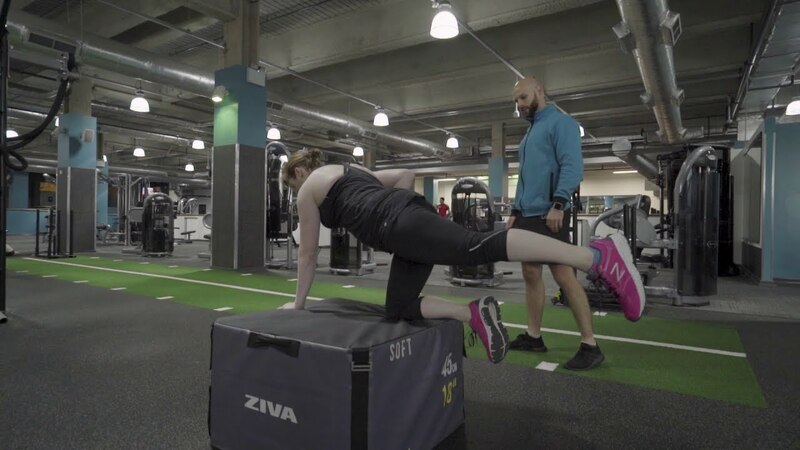 Treadmills, rowers, dumbbells, squat racks, leg press, chests press...no matter how you like to train, with over 220 pieces of the latest kit available there'll always be something new to try at PureGym London Fulham. If you prefer to work out in a group, you'll love our huge choice of gym classes set in a friendly environment and led by inspirational instructors primed to give your motivation a helping hand. Not only will PureGym London Fulham offer really great fitness facilities with enthusiastic, supportive staff, we'll also offer contract-free memberships so you'll be free to stop at any time. Sign up now before we're even opened and you'll save yourself a massive £90! That's because if you join online today you'll pay just £19.99 a month for six months instead of the regular monthly rate of £34.99. Whatever your reason for joining, everybody's welcome. Once we open, you'll find PureGym London Fulham in the building that used to be an M&S food store near to Fulham Broadway tube station and shopping centre. If you're driving to the gym, there's limited pay and display parking on Cerdane Road, which is a four-minute walk away. There are also bike racks opposite the club if you want to cycle to us. We're a four-minute walk from Fulham Broadway tube station and an eight-minute walk from Parsons Green tube. By bus, simply catch the 14, 28, 211, 295, 391, 414, 424, N11 or N28 bus to/from Fulham Broadway bus stop.